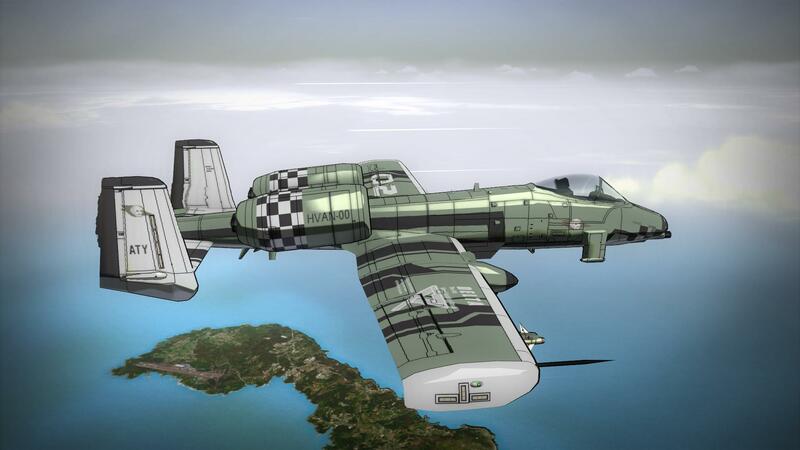 If you've seen my post about more AFDS skins in the Skin Requests, then you probably know what I want. Below, there is a list of skins I need ripped from the game. As I discover more skins (enemy and allied), and finish more skins, this list will be updated. Stuff crossed out are the stuff that were ripped already. Jamie Jones (Anaconda 1) RIPPED! Ellen McNichol (Anaconda 1 - Space) ALL RIPPED! 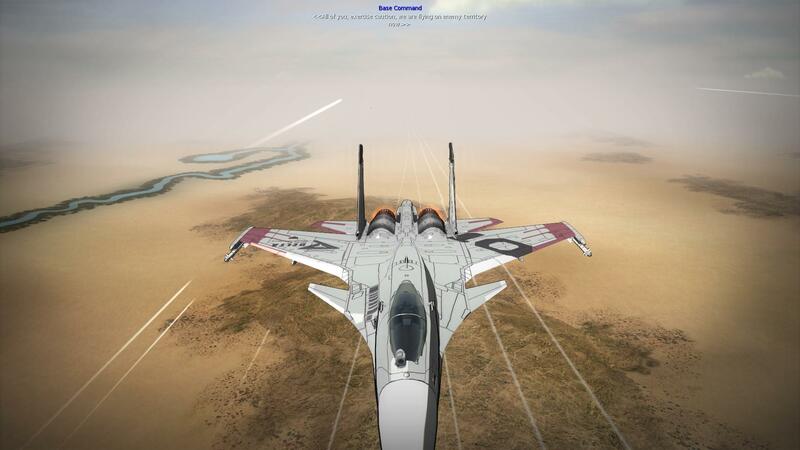 F-15U+ Royal Eagle In game! Brian Douglas (Cobra 2) Ripped! Ken Thomas (Viper 3) Ripped! No need, aces are all ripped. I know that I could do it myself, but I'm not risking my only PS2 and my only copy of AFDS on this. But, hey, it's nice that I'm offering to do them, right? By the way, Python team's skins are special skins that you can't use in base Delta Strike. You can, however, view them in the Plane Viewer, and I assume you can also extract them from the game. Battlearmor maniac, S-32 fanboi, Me 262 fangirl. I can help you with screenshots when I have time. BTW if I recall Sergei only flies old Soviet planes (until late-game, I think). Nergal01 wrote: BTW if I recall Sergei only flies old Soviet planes (until late-game, I think). Actually, Sergei only survives to Phase 06, where you then shoot him out of the sky. No, I mean I recall one of his first plane was Su-7 or whatnots, thus he's only exclusively flying old Soviet-era planes, just like his old-time rival. But we all know his so-called old-time rival was a WW2 propellerhead hipster. Nergal01 wrote: No, I mean I recall one of his first plane was Su-7 or whatnots, thus he's only exclusively flying old Soviet-era planes, just like his old-time rival. But we all know his so-called old-time rival was a WW2 propellerhead hipster. If I recall, most Python team skin was hot-rod ish flame decal. Especially on Typhoon and F-15ACTIVE. Also remember that the enemy side intentionally only using Soviet/Chinese planes and vehicles. Heh heh. If I recall one of the dudes (the guy with glasses, AFAIK) flies Su-25 in the end. I have a 100% complete savedata, might will try to identify them all after I'm done with the exam. A man can dream 'k. I'll be sure to make MX5K for the ACTIVE. When the F-14 is avaible to the public, JM's getting thrown in as well. szboudreau01 wrote: I'll be sure to make MX5K for the ACTIVE. I think it better fit on JKai+ instead. But IMHO its skin looks rather too plain. Blavo Bravo's F-15ACTIVE. Sorry, I only able to get a monochrome texture but the rest of the image should be clear enough for you. update: Giuseppe's MiG-17F. Speaking of, when we'll get F-86 and MiG-15/MiG-17 in VT? This is amazing! Do you think you'd be able to cap the other enemy aces' skins too? Koeben wrote: This is amazing! Do you think you'd be able to cap the other enemy aces' skins too? Yea, just gimme some time. I meant the rest, lol. Including Sergei's and Guiseppe's upper tier planes. I'm currently playing every mission from the start (except for STAND BY random missions perhaps) to ensure I don't miss any single known enemy ace plane. Here's the skin for his (and Holst's) first plane, F-105 Thud. And since the pilot you don't choose will always fly the starter/default plane no matter what, so it's safe to say that he's permanently flying a Thud until the end of the game. Blavo Bravo's first plane, Super Hornet. Note that they don't exclusively using American planes. They DO fly Su-30 at certain point. you might want to check John Silver's AFDS skins as reference for your skins. 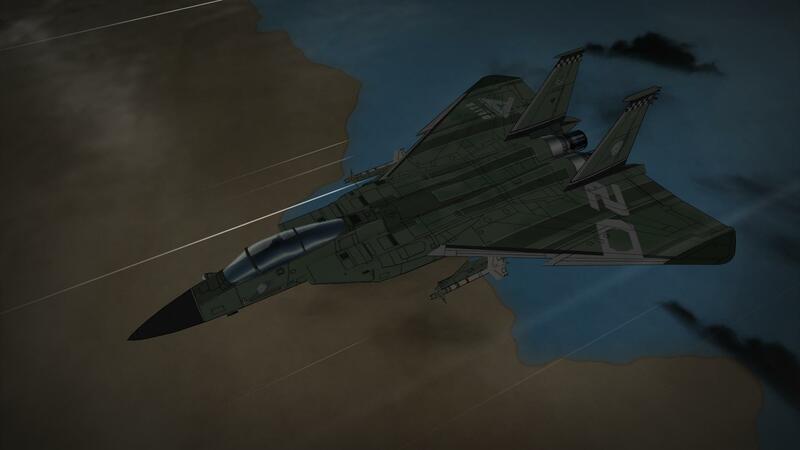 Segei's Su-34 Fullback (make sense since it was a hell of 'anti-ship vs anti-ship' mission, guess which mission. But hey, modern plane! Sergei's MiG-23ML from Doll Master mission. Back to *slightly* old plane, eh? Blavo Bravo's other Su-30s before their usual misery. Note it's basically the same as Ruth's except with Blavo Bravo decals. Pierre's skin is pretty amazing. It's a shame that these beautiful enemy ace skins (aside from Albert's foxbat and Ellen's J-10) never really got to see the light of day in this game (in the form of cutscenes). There's so much beauty and detail in designs like Pierre's MiG-29 and Guiseppe's MiG-17. Koeben wrote: Pierre's skin is pretty amazing. It's a shame that these beautiful enemy ace skins (aside from Albert's foxbat and Ellen's J-10) never really got to see the light of day in this game (in the form of cutscenes). There's so much beauty and detail in designs like Pierre's MiG-29 and Guiseppe's MiG-17. There are more headscratchers though, like the fact that the engine only capable of showing their texture, and mook's at 200-150m (while non-NPC allies can be shown just fine) that I have to keep flying REALLY close to rip the texture, plus the AI obviously cheat a lot; spoiler: I took forever for chasing Sergei's Su-7 or Guiseppe's MiG-17 WITH A Su-37 which is the most maneuverable playable plane available. Therefore yeah; you're basically fighting against mostly textureless enemy planes until you manage to fly near it at point-blank distance.That or perhaps it was emulator's limitation. So, uh, how the hell this guy forced to FLY IN A IL-2 AND TRYING TO DESTROY A LAME METAL GEAR WANNABE MECH WITH IT? monochrome rip, sadly. Shame since his camo is rather cool. A-JAX/Jerry Mouse for F-14. Kudos if you can replace the emblem with proper Jerry's (from Tom&Jerry, obviously) face. This needs no explaination; Albert's Berkut skin. Sorry I can't get a close-up view though, his plane has an insanely OP maneuverability that I'm having a hard time closing on him. Don't worry, this mapping should be mostly straightforward. Besides, the SEEKER ain't the most manouverable armoured tin can.